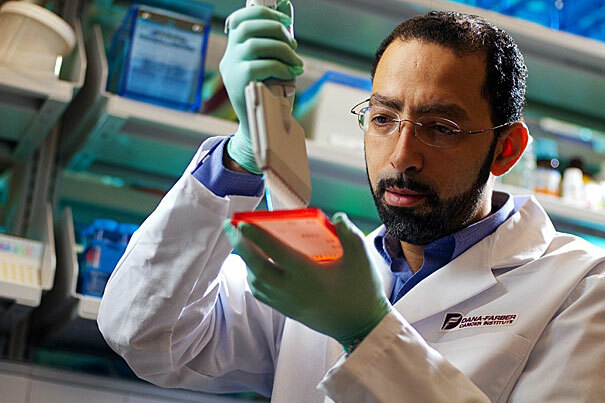 Levi Garraway, an oncologist, used every technique in the precision medicine toolkit to treat his lung cancer patient. He sequenced the man’s tumor, identified a genetic mutation with a matching drug, and used the treatment to stabilize the patient’s condition. Eight months later, however, the tumor came roaring back to life. Drug resistance has confounded cancer researchers since the 1940s, when medical pioneer Sidney Farber began finding effective drugs against childhood leukemia. 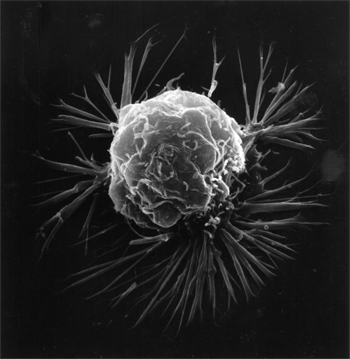 We now know that deep within the tumor, a small population of cells manages to escape the initial treatment. These cells acquire changes over time that allow them to continue to grow successfully, even in the presence of drugs. The patient relapses, with a cancer that is even deadlier. With this philanthropic partnership, a team of Broad researchers has now launched a two-pronged initiative to tackle this task. Aided by technological advances in genome editing and sequencing, they will systematically and comprehensively identify the mechanisms of drug resistance for the first time. In the laboratory, Broad scientists are using the CRISPR genome-editing tool to rapidly test which genes are responsible for cancer drug resistance. At the same time, a path-breaking study is taking place in the clinic. The Broad is teaming up with two of the world’s leading cancer centers—Dana-Farber/Harvard Cancer Center in Boston and Memorial Sloan Kettering Cancer Center in New York—to launch the largest genomic study of patients’ pretreatment and post-resistance tumors. The study—led by Garraway and José Baselga, the physician-in-chief and an oncologist at MSKCC—also aims to identify the mutations that cause resistance by comparing the genome sequences of pretreatment tumors and resistant tumors. Since the project’s start in the summer of 2015, the team has enrolled 46 patients with advanced lung or breast cancer. Already, it’s clear that the researchers are gaining valuable information from the extra biopsy sampling. “The data thus far has provided some highly relevant insights into how resistance may arise. In some cases, those insights could make an impact on clinical care—something we didn’t expect to see this early in the study,” Garraway said. The patients are also leading the way towards a revolutionary new biopsy method that would be far less invasive than traditional biopsies: “blood biopsies.” Part of the reason multiple biopsies have been rare in the past is their cost and difficulty. To circumvent this problem, another team of Broad scientists is using blood samples taken from all the enrolled patients at DF/HCC and MSKCC to improve techniques to isolate and study tumor cells and cell-free genetic material found in a patient’s bloodstream. “The blood biopsies are already starting to yield information that suggest we could use them to study and understand resistance going forwards,” said Nikhil Wagle, a physician-scientist and oncologist involved in the research. In the meantime, Viktor Adalsteinsson, a leading scientist on the project, has set up an automated pipeline to handle and track samples from the clinic through to sequencing and analysis, allowing both lab researchers and clinicians to see how far a given sample has progressed. This automation has sped up analysis five to tenfold, he said. With access to between 50 and 100 patients for analysis each month, “we’re at the point where we can really begin to uncover some exciting biology from circulating tumor cells and cell-free DNA,” he added. Adalsteinsson highlights the role of philanthropy in propelling the project forward. “The Gerstner Family Foundation gift has enabled us to take our blood biopsy work to the next level and try to apply it to a much larger number of patients,” he said. Personalized cancer Vaccines show promise A Broad-built cancer vaccine helps beat back melanoma, reports Aparna Nathan at Popular Science. Crowdsourcing Cancer patient data AP's Lindsey Tanner covers the Metastatic Breast Cancer Project, a Broad-based direct-to-patient initiative to gather data and samples to tackle metastatic breast cancer. How cancer drug resistance works Different kinds of cancer cells can adopt the same therapy-resistant cell state—but that state includes an exploitable vulnerability.